Cleansing brushes have been wildly popular for a long time now.. with the most common reviews of how much smoother and brighter the skin looks after prolonged usage. I myself have been faithfully using them for close to three years now and with the humid weather and amount of makeup I put on my face on a regular basis, owning one is increasingly important these days. Good face cleansing brushes are amazing when used correctly – skin feels cleaner, whiteheads and blemishes start to disappear, moisturizers and face oils seemed to absorb better and skin slowly evens itself out. 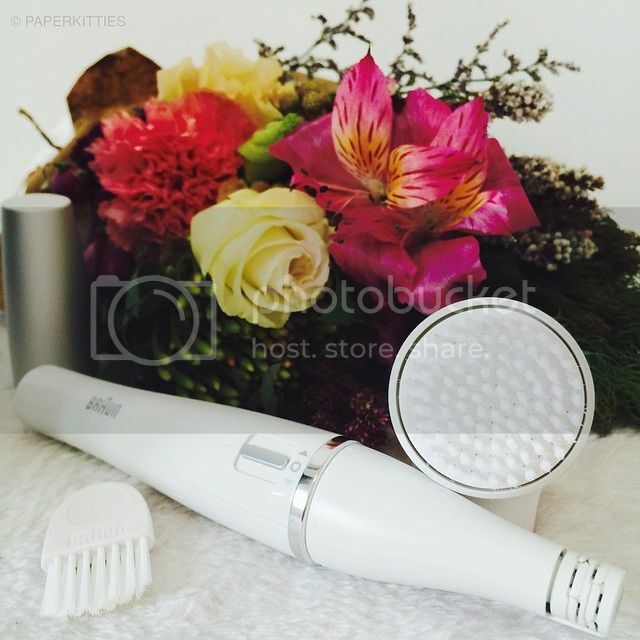 But have you heard about a 2-in-1 Facial Epilator and Cleansing Brush?! Up to 6 times more efficient than a manual face scrub, the Braun face brush gently but thoroughly sweeps away make-up, pollution and impurities with several hundreds of rotations per minute. Tested by dermatologists to ensure that it suits most skin types, even sensitive skin. This sonic cleansing technology also helps prepare the skin to absorb beauty products more efficiently, leaving you with instantly smoother, softer and visibly more beautiful skin. Simply wet your face with water and massage your cleansing oil/facial soap before using the Braun face brush in circular motion on your entire face. For me, I find that the cleansing brush is most effective when placed on a 45 degree angle – it feels more thorough in cleansing and massaging my face at the same time, but still feel really gentle. 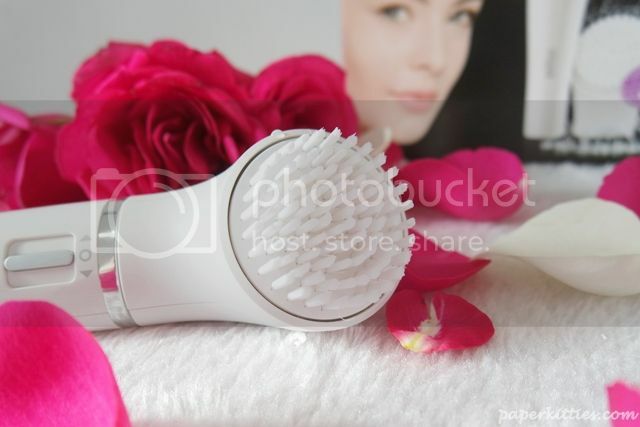 If it is your first time using a cleansing brush, I would suggest to slowly ease it into your facial routine (once or twice weekly), just in case the brush is too harsh on your skin and causing your skin to flare up as it may be not used to it. As you slowly build the frequency of it, your skin gets used to it, your pores become more open and there will be fewer dead skin cells to exfoliate, so you’ll be less likely to have breakouts.For me, I use it every night as a way to ensure that my skin is thoroughly clean before proceeding on my facial routine. There’s no right or wrong on the frequency of usage, it all depends on your skin type. 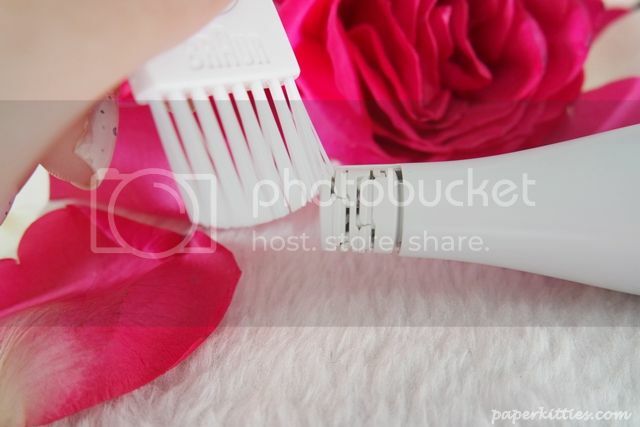 With a simple swap of heads, now let’s move on to the Braun Face epilator! A must-have for all women, Braun Face epilator has a slim head that removes almost invisible hairs and delivers absolute precision on the eyebrows, upper lip and chin. 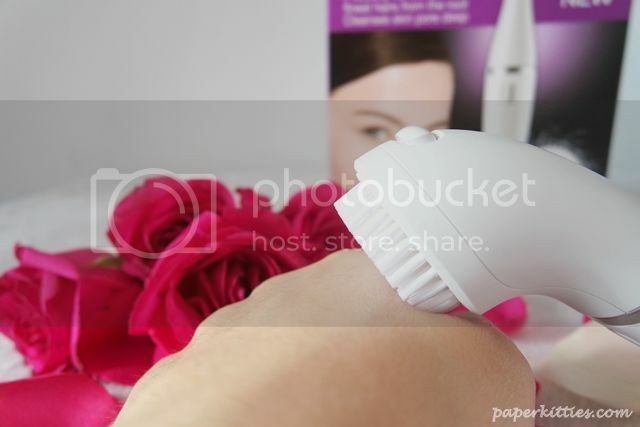 With 10 micro-openings for super-efficient epilation, it offers up to four weeks of smooth skin. 200 times faster than manual tweezers and the ability to remove hairs four times shorter than traditional waxing, Braun Face epilator also provides a gentle experience and more precise results than alternative epilators. You simply switch the machine on, and move it backwards and forwards over the area to be plucked. 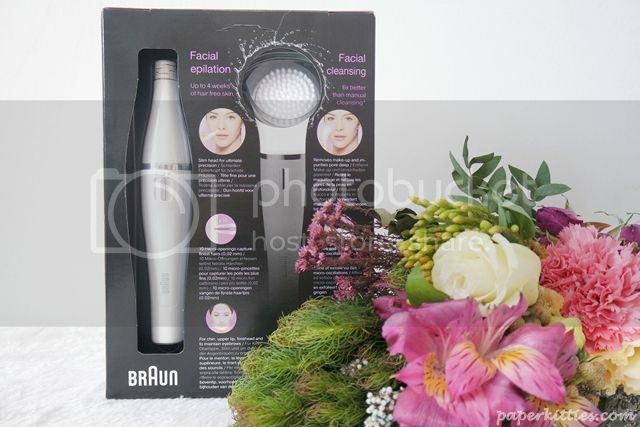 When you’re done, don’t forget to use the small cleansing brush to give your Braun Face epilator a little sweep! For the price of SGD$99, I find it really worth the moolahs for the results it has proven to me. Not to mention how handy it is to bring around holiday trips, solving two beauty junkie travel woes at a go! Next Post Unveiling The SNAILWHITE Box!